SnapCacklePop: One Direction take on Australia with a BANG..! 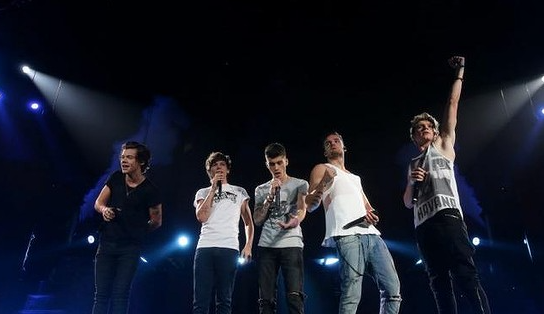 One Direction take on Australia with a BANG..! The very first show of the On The Road Again 2015 World Tour in Sydney saw the ecstatic capacity crowd at Allianz Stadium screaming and singing along with the guys for the thrilling two hour set. The impressive stage production highlighted the band’s engaging performance and the fans loved every minute of it. Playing 6 songs from their latest album Four, as well as hits from their first three albums, Midnight Memories, Take Me Home, and Up All Night, Harry, Niall, Liam, Louis & Zayn were certainly excited to be back in the country that has embraced them from the very beginning. “This is our very first show so we thought we would come down here to see you because Australia is the best place on the planet,” said Harry Styles, looking fresh faced and clearly happy to be back down under. UK supergroup McBusted are the special guests of pop phenomenon 1D on their On The Road Again 2015 World Tour. Australian pop sweetheart Samantha Jade is the opening act at all shows, singer her amazing hits and previewing her upcoming new single..!